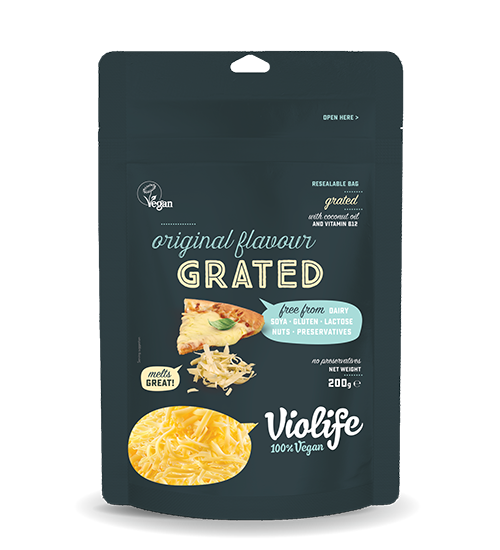 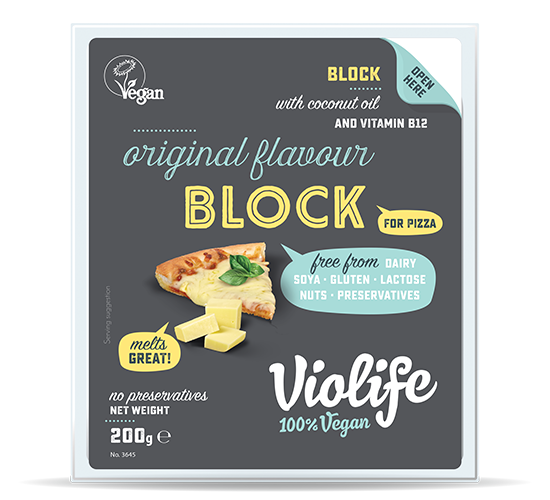 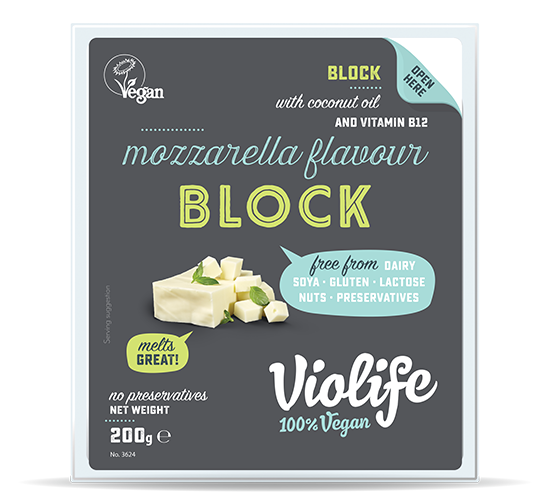 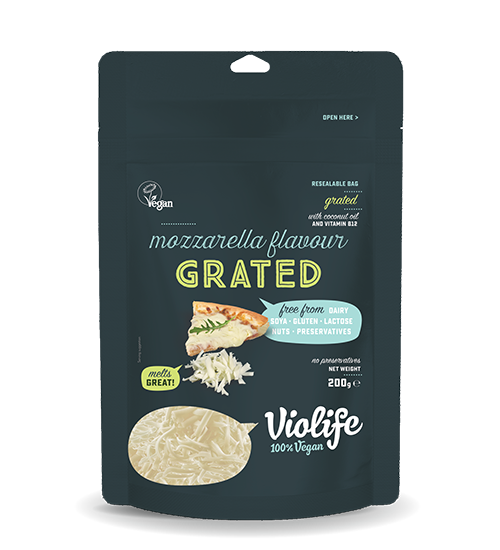 Now you can enjoy your jacket potato or pasta with ready grated delicious Violife Original. 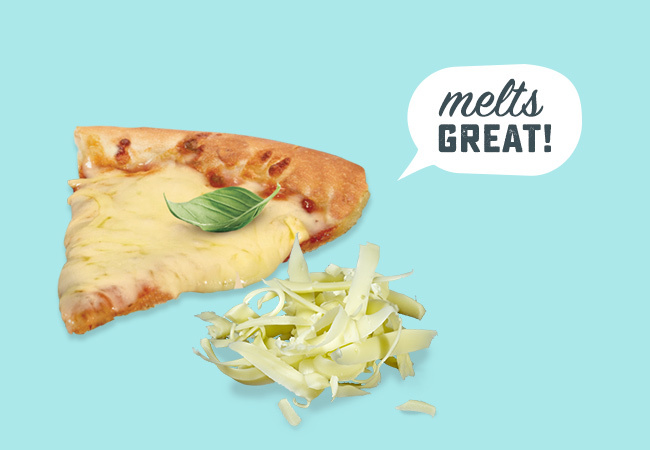 A super easy convenient addition to any fridge. 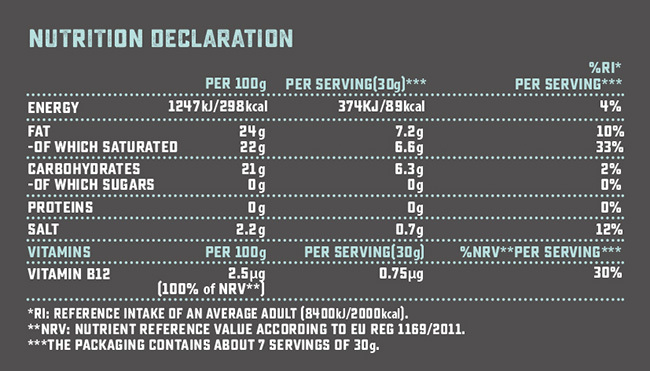 Water, Coconut Oil (24%), Modified Starch*, Starch, Sea Salt, Flavourings, Olive Extract, Colour: B-Carotene, Vitamin B12.